There's no better way to enjoy a romantic visit to New Orleans than to stay in the French Quarter. Surrounded by historic architecture and footsteps away from jazz, legendary restaurants and boutique shopping, a romantic hotel stay adds charm to a special trip, making it all the more memorable. The French Quarter is defined by the Mississippi River from Canal Street to Esplanade Avenue and inland to the north to North Rampart Street. 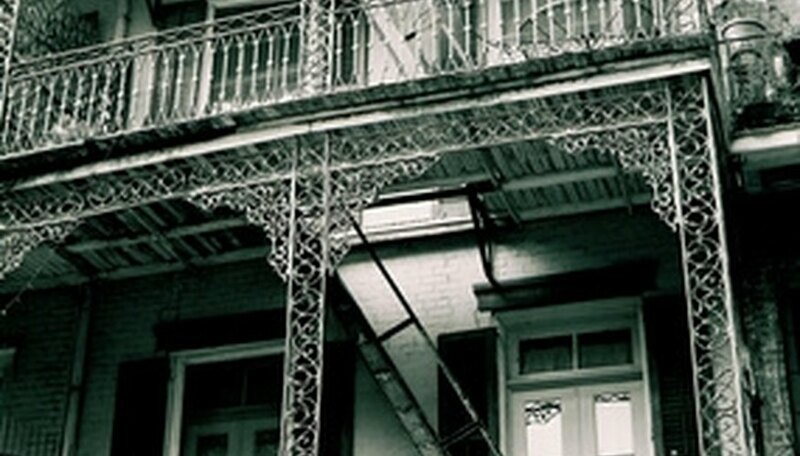 The romance of New Orleans can be found in its French Quarter hotels. Moments from the cafe au lait and beignets at the famous Cafe du Monde is a group of eight carefully renovated townhouses collectively known as the Place D'Armes Hotel. The buildings date from the 18th century and surround a beautifully landscaped garden with a pool, fountain and lush, subtropical plants. Each guestroom has antique reproduction furnishings, as well as modern amenities including complimentary wireless Internet access, cable TV and 24-hour concierge service. A short walk from the iconic St. Louis Cathedral is the Bourbon Orleans Hotel, located in the historic Orleans Theater and Ballroom. No two rooms are alike in this 18th century, French colonial style hotel featuring king- and queen-size beds, rooms with balconies overlooking cathedral gardens and suites---some on two levels. Chippendale and Queen Anne furniture grace the elegant lobby, and sumptuous fabrics adorn the guestrooms. The landmark Hotel Monteleone is a member of Historic Hotels of America. Situated on famed Royal Street, this pet-friendly hotel has a spa, heated rooftop pool and the revolving, colorful Carousel Bar, made famous by Ernest Hemingway. The guestrooms feature marble and granite bathrooms, flat-screen TVs and all the modern conveniences while surrounding guests with old-world charm and style. LaFleur, Sharon. "Romantic French Quarter Hotels." Dating Tips - Match.com, https://datingtips.match.com/romantic-french-quarter-hotels-7193281.html. Accessed 18 April 2019.